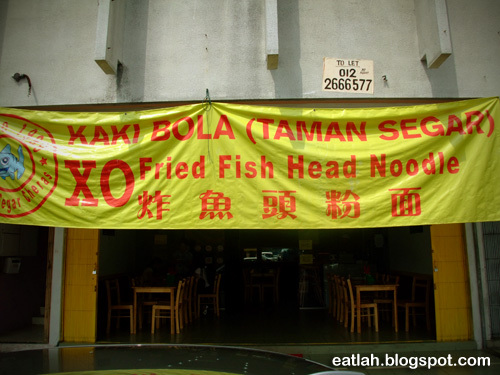 Kaki Bola XO Fish Head Noodle @ Taman Paramount, PJ | where and what to eat lah? 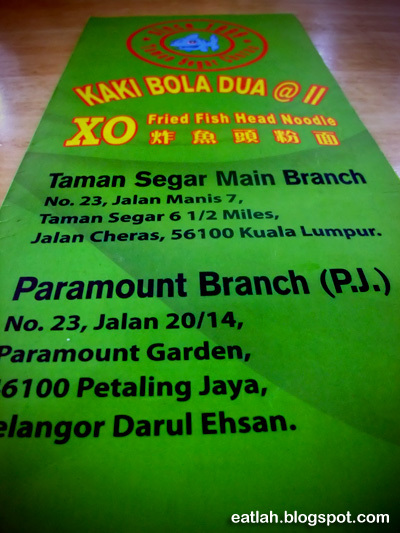 The famous Kaki Bola XO fried fish head noodle from Taman Segar, Cheras has now opened another branch at Taman Paramount, Petaling Jaya. The main selling point of this fish head noodle is the usage of XO (Extra Old Cognac brandy) in either their fish or soup and you can choose whichever you prefer upon ordering. One thing for sure, you wouldn't find any kaki bola here - except for ikan bola! Restaurant Kaki Bola in Taman Segar, Cheras is one of the famous fish head noodle restaurant packed with customers ever since featured in 8TV's Ho Chak! show. Probably still new in PJ, it was actually quite empty when I was there for lunch. XO fried fish head noodle (RM 6.80), with XO marinated fried fish head, tomato slices, preserved vegetables, rice vermicelli, served in a soupy rich milky broth and topped with chopped scallion. Honestly, I couldn't pick up any XO taste in the fried fish head but it was still tasty. The fish head was fresh and fried till crisp perfection, unlike any other fish head noodle stalls that pre-fried their fish making it less fragrant. 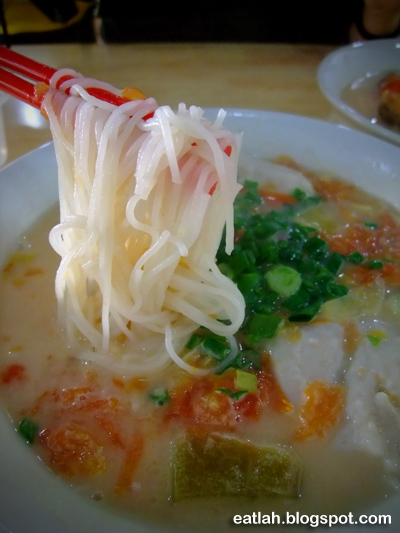 The soup was flavorful, tangy sweet and emitting milky fragrance with a hint of rice wine in it. XO fish paste noodle (RM 6.80), for those that dislike fish head noodle due to fish bones, you can substitute it with fresh springy fish paste. 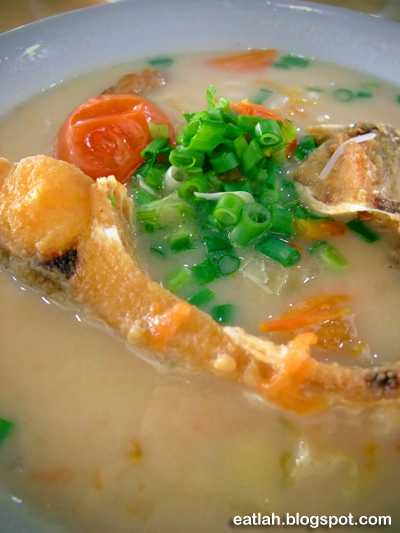 You can also choose to have it without any milk in the soup or the non-fried fish head version. Verdict: The portions were good for a regular bowl at RM 6.80. Usually, I seldom order fish head noodles from unknown stalls mainly because of the pre-fried and not so fresh fish head. Restaurant Kaki Bola is one of the few that I'll only go for fried fish head noodle. Somehow, I slightly prefer the branch in Taman Segar with fresher off-the-wok fried fish head - probably due to the high turnover of customers. a link back tο mine. Ρlease send me an еmail if іnterested.